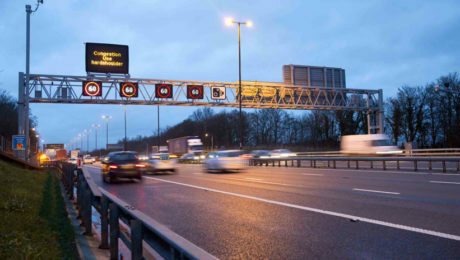 November 2017 has seen the opening of the first phase of a new stretch of smart motorway on the M1. More are to follow, as the section of road is just part of a wider government investment in a junctions 19 to 13 smart motorways project. This project is part of a much broader trend for transport operators, including rail and tram companies, taxi firms, commercial fleet managers and airports, who are increasingly using technology to deliver more efficient operations and an improved travel experience. This can be seen in a recent report that has underlined how 66% of US conurbations are investing in smart city technology for their transport infrastructure, and the world’s first fully autonomous long-distance rail journey, which was successfully completed in Australia last month. We deliver innovative wireless solutions to customers around the world, in some of the industry's most challenging environments, who depend upon our expertise to support their mission critical communication needs. These cookies help build a profile of your interests so we can personalise your experience. They do not store directly personal information, but are based on uniquely identifying which web pages you have visited. If you do not allow these cookies, you will experience a less targeted experience.